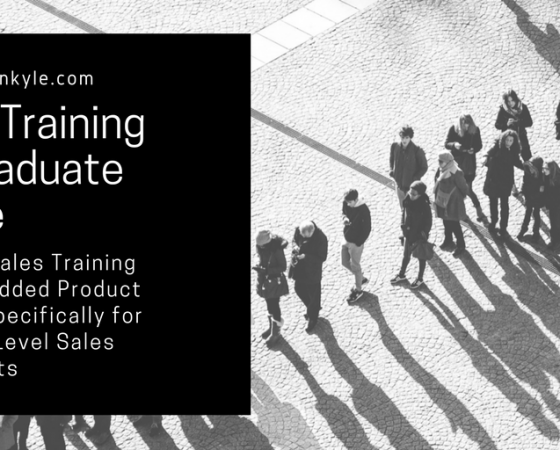 Graduate sales training course…because it’s the simplest, fastest and most effective way to give your new recruits the very best chance of succeeding in their new career. It’s the ultimate win-win for them and you. You’ve done the hard work, recruited the very best for your sales function and business. Now, you simply have to keep them productive, efficient, effective, loyal, happy, challenged, motivated, committed, engaged and not searching about for a better environment. product, service, culture and boss! The new graduate sales consultant arrives at your business with the attitude, energy, focus and determination you need. You’ve seen enough in the sales recruitment process to take the risk and make the job offer. So you’ve got the best raw materials you can find. At Morton Kyle we understand that the investment to date has been huge. How to You Give the Graduate Sales Consultant the Very Best Chance of Sales Success? You design a sales training course that is bespoke to them. A B2B sales training course that delivers all the sales skills the new sales graduate will need. All within the context of your company values, your company culture, embedding your product range, your customer types, your markets and your style of operation within your market space. So why would you provide them with conventional sales training? 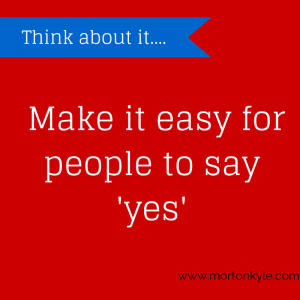 The Morton Kyle Graduate Sales Training Course delivers all the sales skills your team need. Sales and business development skills delivered in your business context via the real world sales environment of your business. They’ll be presented with real sales challenges…guided learning scenarios help them discover and flex their sales muscles. Having access to the most up to date influencing and persuasion insights helps the new recruit tap into their own personal sales style. The vast sales experience of the sales trainers is used to guide their inner sales person. Your graduates gain sales confidence and motivation to succeed. Your graduate sales recruits become comfortable with operating professionally knowing the rules of customer interaction in all types of B2B environments. Dispensing with jaded sales methodologies, your next generation sales leaders, will become familiar with and understand the demands of buyers in today’s world. They will become fluent in how to satisfy those needs better than your competitors. If you’re looking for your Graduate Sales Consultants to stand out from the pack for all the right reasons, to be the sales leaders of the future, to take your company forward, then building a learning culture, a demanding start to challenge their thinking, set them on a reflective path, and instill a culture of continuous sales and self improvement then contact us for more details – carol@mortonkyle.com, alternatively call 0779 002 1885. Graduate Sales Consultants – Sales Leaders of the Future. Making the transition from university to the real world needs to he handled smoothly so as not to overwhelm and to ensure your graduate sales team are on track with you all the way, as you are with them. Embedding your culture, values, expectations and way of working in the team as early as possible is a key step in helping the transition along. Providing stimulating, challenging and interactive training allows your graduates to progress in a way they are familiar with. Acclimatising to a corporate culture, a performance based environment and a sales team heirachy can potentially derail even the best sales talent if not monitored and supported, our bespoke training courses seek to minimise this. Giving your graduate sales recruits real live sales learning situations, supporting them to think like sales leaders of the future, helping them to articulate their individual sales style within the context of the business, combined with extensive product training allows your sales team potential to develop early. Harnessing their natural communication, creative thinking skills, personalities and integrating the very best sales skills, sales methodologies, influencing and persuasion skills through from cold prospecting to advanced selling, negotiation and account development. All the while, you and your management colleagues continue with business as usual. The Graduate Sales Training Course is delivered on site / or at a venue of your choice. All courses are bespoke to your business needs, product ranges and short/mid term sales goals for your graduate sales consultants. Ongoing refresher courses, online courses and sales coaching are also available. These come as bolt on modules for the program. Your internal management leadership teams benefit from full knowledge transfer. This may not be the first impression the graduate has of your business, your culture and your values, but it is as important as any first impression. Your graduate sales training course should reflect who you are as a business. It creates the first impression of your business for your new recruits. Assuring them of your good intentions. Confirming they have made the best choice of which company to join. Two elements that say everything about the potential success of your mutual working relationship. We understand this. We partner with you and your internal sales leadership team and training team at every stage. This is how we ensure your graduate sales consultants deliver on the potential you identified during the recruitment process. Are you an internal sales trainer or sales manager? 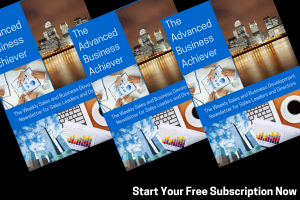 You can also sign up for our weekly Sales and New Business Development newsletter – The Advanced Business Achiever – great for internal sales training or sales briefings, daily sales huddles, sales coaching and sales challenges, just hit the link to claim your free subscription. This entry was posted in Blog, Sales Training and tagged Account Based Selling, B2B Sales Training, Bespoke B2B Sales Training, Bespoke Graduate Sales Training, Competitive Selling, Graduate Recruitment, Graduate Sales Training, Graduate Sales Training Course, Relationship Selling, Solution Selling. Bookmark the permalink.